First - It's all about YOU. What's on your mind? Suggestions or ideas or comments? Your insights, challenges and solutions are featured in the monthly Good Fortune's Tips and timely newsletter. Keep in touch, subscribe today! So-what do you think? Questions or Suggestions? Answers...? Every life travels a trail of Good Fortune. Some know they are on it and find their Passion. Other’s don’t and miss their opportunities. Many don't realize that whatever happens, IS the path that leads to solutions and Living the Dream. The way is simple. Stuff happens. Inspiration guides you and then you take action on Opportunities - that leads to solutions. For every problem you encounter, an instant solution is there too. .....still prefer the tropics today. All that obscures that obvious Truth is genetic fears and social conditioning. Holding on takes effort and painful struggle. Letting go is easy. The way is simple. Good feels good. Bad feels bad. Choose wisely, for you are wherever you Attention takes you. My “talent” is my ability to see a solution and then create a path to it. If I focus on a question or dilemma I always find the answer – and a way of “speaking it” that others can follow. I know for a fact that for every problem there is also a solution – this is a duality-based universe. The clash between the opposites is the “friction” you experience going between the extremes. Once you choose the solution – there is no longer stress or friction in your life. 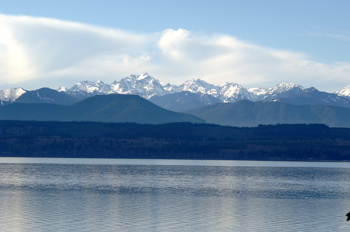 The Olympic Mountains - Puget Sound in Winter. Growing up and living in natural beauty was a wonderful beginning to a long journey. I bring Good Fortune to life – through my client’s lives and businesses. From inspiration and creativity good ideas flow and opportunities flourish. Follow the tips and practices in Quick Good Fortune and you can live the life you envision. Good Fortune is the result of following your inner guidance and passion -- and living your unique personal Vision. How did I come by this calling? When I look back at my childhood I can see it easily evolved from my curiosity and desire to live my life in my own way – healthy, wealthy and wise. 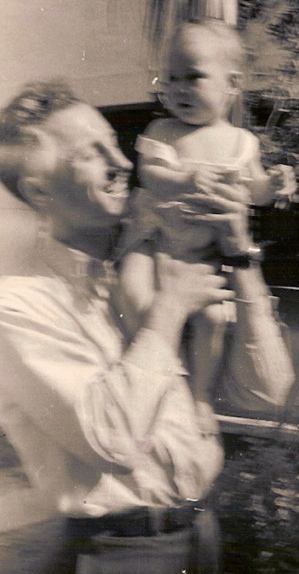 I was very fortunate to grow up in an affluent family – Dad was a doctor and we lived on 1,800’ of waterfront; 22 acres with deep woods and streams, pastures, stables and I showed horses. I danced, played the piano, swam, fenced, and just about every activity imaginable…. Yet not a day went by that I didn’t hear “we can’t afford that” from either dad or mom. Now I see that they grew up in the Great Depression, and life had been difficult for their parents and the habit of feeling “money was scarce” was dominant – no matter what was really happening. Riding and showing horses was a passion throughout my 'teens. Loved competition: rodeo, county fair, jumping, and Gymkhana team events. Genetic and social conditioning was clouding the truth and limited their enjoyment of all they did have. I learned to ski at ten and skied most winters until recently. Crystal Mt.Ski area was close and relatives built a cabin that we stayed at frequently. So from ages 9-13, I babysat for money, and worked for Grandma. Then at 13 I joined the migrant farmers and farm kids for several seasons and picked strawberries – for pennies! Hard, back breaking, hot, dusty and to this day I don’t enjoy strawberries that much. But I did have my OWN money – hassle free. Was it worth it? The lesson was! It was pretty clear to me that hard work and money didn’t go together. I read and heard the news of stars and athletes making millions…and Time magazine ran stories of our country’s and the world’s richest men (very few women in those years). What did a person do for $1million dollars? They clearly weren’t working for it. What was the ‘talent’ that they had that I didn’t know? In school I heard the same story my parents believed: work hard, study, get a profession and get rich. Many of my friends parents had done that….and their lives weren’t much better off than most. The richest attorney committed suicide, and four other professionals got divorced…kids split between families. Lots of upheaval and turmoil. Some of the lower-income families as well as wealthy families were happy and content. So what's the key to happiness? I knew that money was not making anyone happy – it did buy a house – but not a home; and it bought obedience, but not respect. It solved basic problems like hunger and shelter, but not quality of life. And when I needed money – it was VERY important, but it was not the answer. 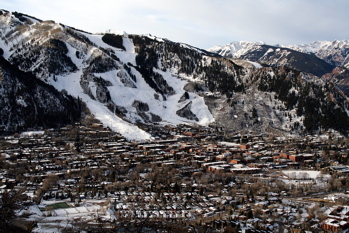 Aspen Colorado 20 years after my stay is still one of the best ski areas in the world. 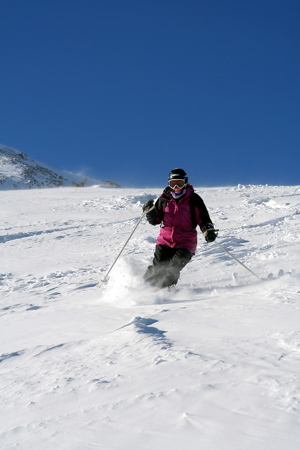 I really learned to ski in Aspen by teaching over five seasons, and I'm RMSIA certified. I studied Philosophy and learned of answers from every age and culture. At the University of Washington, the philosophy of science blossomed and dominated the department. The advance of Physics as applied to life experiences, and a greater understanding of genetics, opened the door to my understanding. Physics described the “bigger picture” of who I am and how I get what I get, and “genetics” spoke to the habits of cultures and individuals. Alan Watts was the Philosopher who brought Eastern mysticism and physics together in Western thought: and it became clear that the Life Force was directed by Attention and Focus and that anything was possible that could be conceived. Life isn’t only an evolutionary progression of forms. There is not a “goal” or destination to living, but rather a dance of living, and it isn’t going anywhere. Everything cycles. Many great cultures rise and fall and there are many, many experiments in living: you get the “dance” you focus on – so choose wisely. I now knew why some prospered and enjoyed a rich and rewarding life, and others did not. Anything anyone could imagine could be invented, lived, and experienced. The Explorer began as a Dream, others joined and wove the magic that restored her. 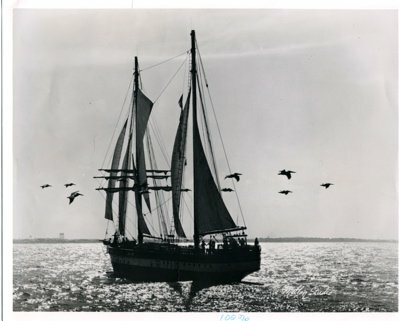 The Explorer sailing to the 1976 US Bicentennial Meeting of Tall Ships in New York Harbor. Imagination was the key to creativity and inspiration. People get what they give their attention to. They then ARE their Attention. When Attention is on a personal Dream or Vision of life – then Good Fortune follows. “The rich get richer and the poor get poorer”….one of our favorite themes…and the only cure to poverty, illness, bad luck, mis-fortune or a failing business: is the individual choice to change it via changing focus and attention. This is no SECRET – it’s in the Vedas (20,000 years old) and said in many ways in stories and fables, literature, religion, philosophy, drama, dance and songs. One of the most famous is “Think and Grow Rich” (Napoleon Hill), written in early 1900's. Deepak Chopra, neuro-surgeon, writer and speaker, introduced the ancient Sanskrit writings of the Vedas (oldest written word) and framed it into language and experiences that people could live and concepts that they could follow. These teachings showed the way to healing, affluence and the power of the mind. The self-help section of the book store is exploding with information from others. Good Fortune is created by you, and flows through you as you and out into life. My personal path led me through several Universities and training in art, psychology, real estate and philosophy; and recently, photography, advertising and marketing. 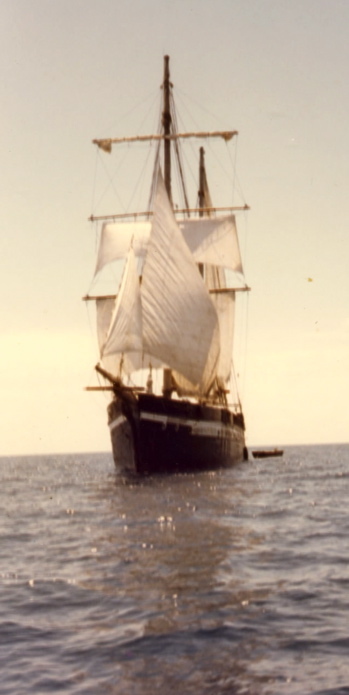 I taught skiing in Aspen for five winters, and restored a sailing ship (together with 200 or so others) in the summer. I sold real estate to help finish the project eight years later. 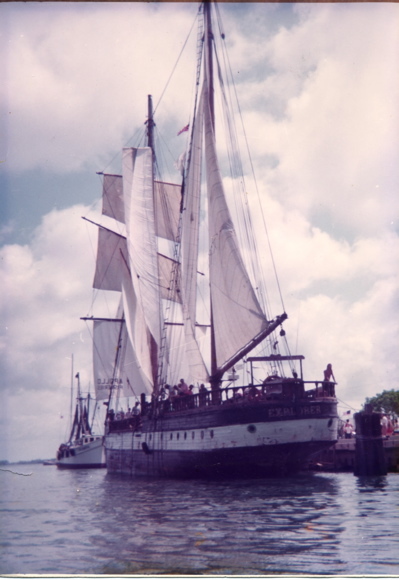 The Explorer was a 165’ Sailing ship that sailed in the US Bicentennial and New York Harbor in 1976. She was eventually blown up off the coast of Belize. I’ve made and lost millions several times. I’ve also been very, very ill, and that lead to a broad understanding of healing and how to get from where I am – to where I want to be. I know you can heal anything, because I did. 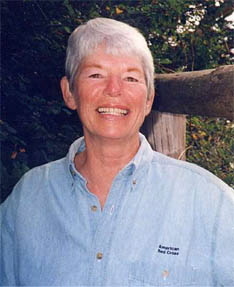 Holistic Health Articles Expert Series featured my story on healing. I’ve explored Chinese acupuncture and herbal healing, natural healing from homeopathy to chiropractic, and energy healing, including Heller work (Rolfing), Jorei and the new energy medicines: EFT, Tapping, PSTEC, and TAT. I'm an Ayurveda Practitioner. My most profound insights came from Native American healers who took me in and turned my health around. Here I learned the Beauty Way, Medicine Wheel, Shaman Practices and wisdom, Sweatlodge and pipe. I’m an advocate of Ayurveda (over 200 Panchakarma session including a stay in India) and know that diet and exercise is the key to health. Modeling in Los Angeles, Orange County and Palm Springs. 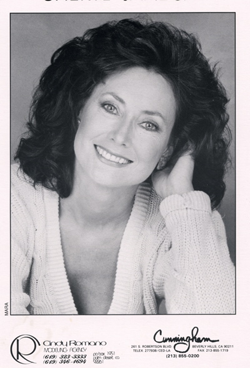 Cheryl's head shot - Los Angeles zed card. There’s nothing in my path I would change, for every experience explored and answered my questions on who I am and what I’m doing here, and solutions to get to what I love. I’ve always followed my Inspiration and my path winds through a varied life of opportunity, high drama and fun. 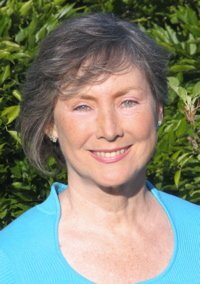 I taught Good Fortune classes beginning in 1978 through tuning into your own inner awareness, the energy of the Life Force in you, and in using that insight to create a Bigger Picture, inspiration and an affluent life. I’ve been an actress, model, and a spokesperson for Seattle’s World Trade Club. TV and radio interviews and several series on Cable followed. "Performing as a model or actress" is the study of yourself in relation to the role or situation. Here I learned a great deal about my own fears and limitations - and led to many of the trainings and practices I use today. 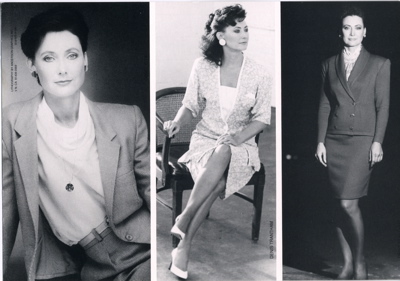 Cheryl began modeling in college, during her years skiing and in Seattle. In 1987 she jumped in full-time, as a career and moved to Los Angeles. LA zed card: Easily a favorite and "most fun business" - with much time spent auditioning, preparing and performing. I’m a travel writer, photographer and guide taking others to sacred and inspirational sites around the world. I’ve recently been a consultant, assisting wealthy clients in writing their memoirs and organizing their lives via these same principles. Today I’m writing, teaching Shamanic Wisdom and guiding others to their unique personal Good Fortune destiny. It’s been an interesting journey. What I know for sure, is that if you’re not starring in your own movie – you’re playing a bit part in someone else’s drama. Find your own goals and what inspires you- and your path in life will lead you to Good Fortune! Then another Insight follows every 5 days - for 21 Insights. You'll also get a monthly “Good Fortune Tip” with articles to inspire, delight and keep you on track and creating your Dream. You may cancel at any time. An Adventure and "...a Dream Come True." The adventure of a lifetime - Living the impossible dream. The Explorer on the voyage to New York. Coming into port in Panama. I began restoring the ship with ten others in my mid-twenties. The Explorer was restored from a beached gutted barge to a ship, and she sailed in New York Harbor for the US Bicentennial in 1976. She was the oldest and largest ship "not sponsored by a country." The Explorer was the result of many people Living the Dream. Over 200 made it possible - and over 2,000 helped significantly. The Explorer - on deck setting sail. The Explorer's crew was all-volunteer and often contributed to the expenses of the ship. The Explorer passing through the Panama Canal on the way to the US Bicentennial in 1976. 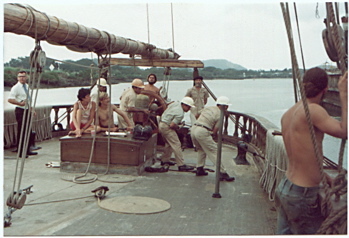 The Explorer's crew and the Panama pilot crew working on the stern deck. 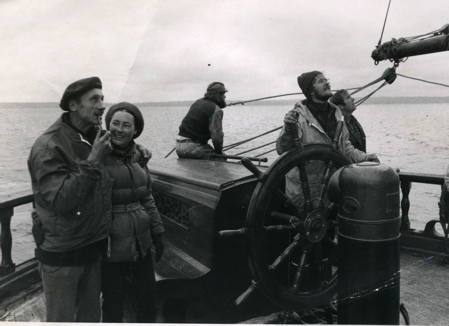 Mary Trimble was the Ship's Diver and Purser, and one of the key people that made the voyage possible - and enjoyable. "The Panama Canal photo was taken in 1976. John Racanelli is at the wheel, with Doc (Capt. Janecky) standing by him. I'm sitting on the hatch with Jeff Dunn. The others are Panama Canal crew -- the guys in hard hats handling the lines with the mechanical donkies along the shore, and the Panama Canal pilot directing things. The Explorer was an adventure. The crew worked continuously to keep the bilges pumped, rigging and lines secure and the generators and engines working. Nothing was "for sure" and ingenuity and innate intelligence saved the day, again and again. Each crew member lived the Dream. Without that passion The Explorer couldn't of sailed and made such an arduous journey. Final funds to transverse the Panama Canal came from the Amateur Radio Association members - the only link we had with the ship. They knew of sudden additional costs and raised the money themselves. There was no end nor limit to the magic that sailed the ship. Everyone knew it, and gratitude was plentiful. 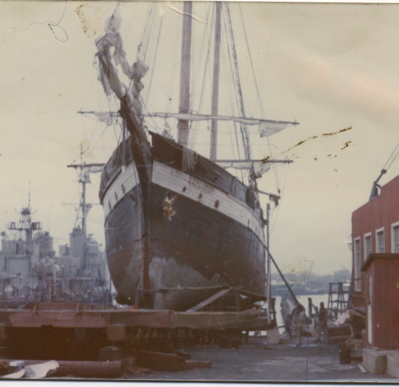 The Explorer was dry docked on the East Coast for repairs after the US Bicentennial in 1976. 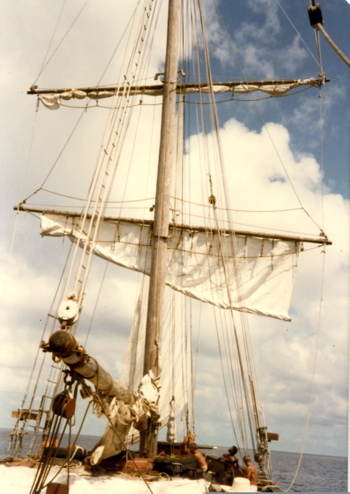 The Explorer was always in need of repair - she was built in 1904 - a real sailing schooner hull. 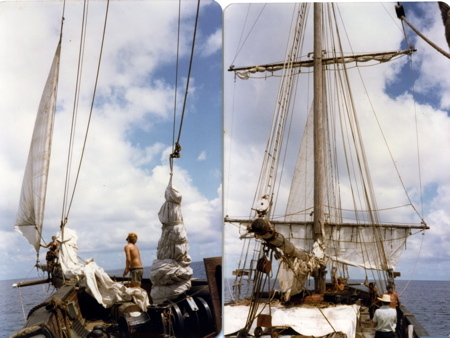 The restoration was "best effort" but never more than enough to sail to the next destination. Funds for dry-docking showed up the same way. 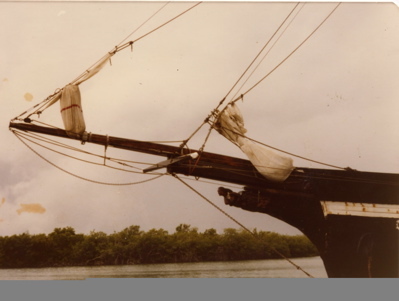 Hundreds of donors and contributors made the voyage down to Belize possible. The Explorer's bow and hand-carved figurehead. The figurehead were carved and donated to the ship. The Explorer - view of setting sail from the deck"
The Explorer's sails and rigging were mostly donated and remade by volunteer crew members. The Explorer on a cold day in Puget Sound before leaving for the cruise south down the coast. Capt. Janecky and Cheryl, on the stern deck with the crew.